The OnlineParentClass.com class was designed for individuals who need to take a parenting or co-parenting course for a court order, as part of a custody agreement, other legal or probationary reasons, or simply to just improve parenting skills for personal growth. It was designed by Ari Novick, Ph.D. 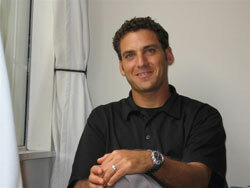 He is a licensed Marriage and Family Therapist and expert in anger management and family relationships. Dr. Novick is probation and court approved parenting class provider as well as anger management provider. The Advanced 10 Hour Parenting Class was designed as a longer version of our traditional parenting class and is a minimum of 10 hours to complete. It includes more in depth information, expansive content, detailed quizzes and course instruction and is more comprehensive than our standard program. This course is ideally taken by those who want the most detailed parenting class available through our organization either for personal growth or for those that have a court or legal requirement that requires a longer course. Register for Advanced 10 Hour Parenting Class. Our online parenting class has been used and accepted throughout the United States.